I hate being scared. When I’m scared I freak out and don’t want to be home by myself and when I hear noises outside I think someone is coming to kill me. Completely rational, I know. That being said, EVERY ONCE IN AWHILE I can tolerate it and actually like the adrenaline rush. This book certainly covered those bases. The voice of our story is unnamed but she is traveling to meet her boyfriend Jake’s parents for the first time. Although she knows this is a big step in a relationship her heart is just not feeling the same way as Jake so she is feeling uneasy about this experience. We get a sense that the family dynamics within the home are unusual and are not ideal. I feel like this story is better left with as little information as possible given prior to reading. All I can say is HOLY CRAP, YOU HAVE TO READ THIS BOOK. 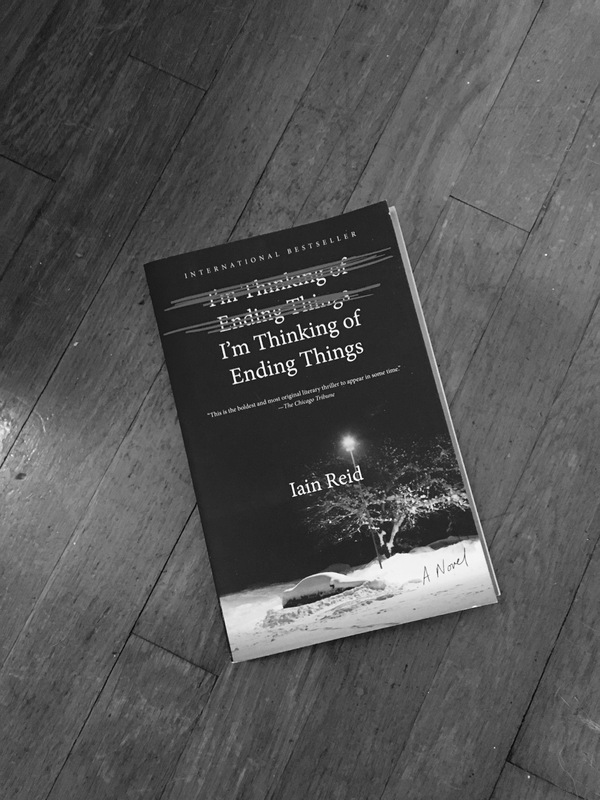 I’m Thinking of Ending Things is a short 210 pages long and I read it in one sitting. This novel is super imaginative and scared the beejesus out of me so I’m giving it a 3.5 out of 5. If you like being scared then pick this book up now! Here’s to the adventure of finding a novel novel (even if it’s scary! )!